Why start Lifeline service now? Life is unpredictable, and a call for help could be needed at anytime. 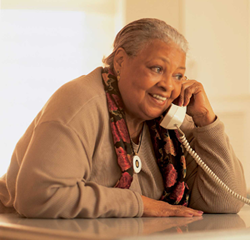 Begin protecting your loved ones and experience the comfort and peace of mind that comes from living with Lifeline. The service costs little more than a dollar a day, there are no hidden costs, no long-term contracts, and you may discontinue the service at any time. *There is no minimum monthly commitment. You may end the service at any time without penalty.